The Houston Astros evened the 2017 World Series at a game apiece with a come-from-behind, extra-innings, 7-6 win over the Dodgers in Game Two last night. The Astros this season became the 10th team in MLB history to reach the World Series within four years after losing 100 games in a season. Houston lost 111 games in 2013. They are looking to become only the fourth team in baseball history to win a World Series within four years of losing 100 games. Here’s a look at the 10 teams that lost 100 games in a season and then reached the World Series within four years of those 100 losses. Boston Braves, 1912: Lost 101 games in ’12… won the World Series in 1914. Boston Red Sox, 1965: Lost 100 games in ’65… lost the World Series in 1967. New York Mets, 1967: Lost 101 games in ’67… won the World Series in 1969. Tampa Bay, 2006: Lost 101 games in ’06… lost the World Series in 2008. Detroit, 2003: Lost 119 games in ’03… lost the World Series in 2006. Chicago Cubs, 2012: Lost 101 games in ’12… won the World Series in 2016. 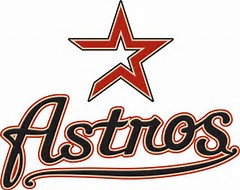 Houston Astros, 2013: Lost 111 games in ’13… ??? World Series 2017. The Los Angeles Dodgers and Houston Astros became the 10th and 11th teams in MLB history to win 60 or more games before the All-Star break. The Dodgers have the Majors best record at the break at 61-29 while the Astros are a half-game back at 60-29. It was only the second time in baseball history that two teams had 60+ wins before the All-Star Game in the same season. In 1969, the Orioles had 65 wins at the break and the Cubs had 61. The O’s 65 wins before the All-Star Game in ‘69 are the most first half wins of any team in MLB history. Of the nine teams prior to the Dodgers and Astros to win 60+ in the first half of a season, five made it to the World Series that season with only two (the 1975 Cincinnati Reds and the 1998 New York Yankees) winning the championship that season. The calendar has turned to June and Major League Baseball has completed the first two months of the 2017 season. The big question is… will the Houston Astros make their first World Series appearance since 2005 and are they primed to win their first World Series title in franchise history? The Astros have baseball’s best record at 38-16, a .704 winning percentage. 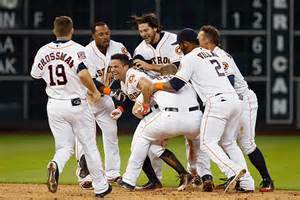 But here’s a quick stat that may give Astros’ fans even more reason to think this is their year: In three of the last four seasons, the team with the best record in baseball as of June 1 has made it to the World Series that year, and two of the last three World Series champions (the Cubs last year and the Giants in 2014) had the MLB’s best record on June 1. All good news for the fans in Houston. Of course two months does not a season make. But let’s take a look at the last five seasons and see how the teams that led their division on the morning of June 1 did that season. First, a quick look at this year’s standings. The teams leading their division on June 1 in 2017 are the New York Yankees, Houston and a tie between the Indians and Twins in the American League, and Washington, Milwaukee (yes, the Brewers) and the Dodgers in the National League. There were 32 teams that led or were tied for the division lead from 2012-2016. Of those 32 teams, 13 went on to win the division that season. Of those 32 teams, 20 made the playoffs that year. Of those 13 teams that led their division on June 1 and then won the division that year, four of those teams came from the N.L. Central (good news for the Brewers), most of any of the six divisions. Of the last 10 World Series teams, four led their division on June 1 that year, six did not. Of the last five World Series champs, three led their division on June 1 that year, two did not (Kansas City in 2015 and the Giants in 2012). The last season where two teams that led their division on June 1 met in the World Series was in 2013 (Boston versus St. Louis). Here’s one final stat: As mentioned above, the Astros have a .704 winning percentage here on the morning of June 1. Since 2000, the Astros are only the fourth team to have a winning percentage of .700 or better on June 1. The Cubs last year were at .700 on June 1, while the 2002 Red Sox (.706) and the 2001 Seattle Mariners (.769) are the other teams on the list. The Houston Astros were one of the surprise teams in the majors this year. They finished with an 86-76 record (.531), their first season above .500 in the past seven seasons, and made the playoffs. 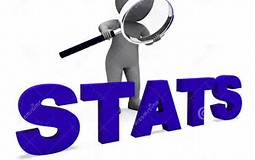 Houston’s successful season now gives the active “seasons under .500” title to the Miami Marlins; they have the longest current streak of sub .500 seasons with six. Here’s a look at each MLB team and the last time they had three straight seasons under .500. The last time the Dodgers had back-to-back sub-.500 seasons was in 1986 and 1987. The Yankees have a active streak of 23 straight seasons above .500. The Cardinals have been above .500 in 15 of the last 16 seasons. The last time they had back-to-back seasons under .500 were in 1994 and 1995. Three of the 10 teams that made the playoffs this season had five or more season of sub .500 ball prior to this year. The Astros, as previously mentioned, had six straight seasons under .500 before 2015, while the Mets and Cubs both had five seasons consecutive seasons under .500 prior to this year.